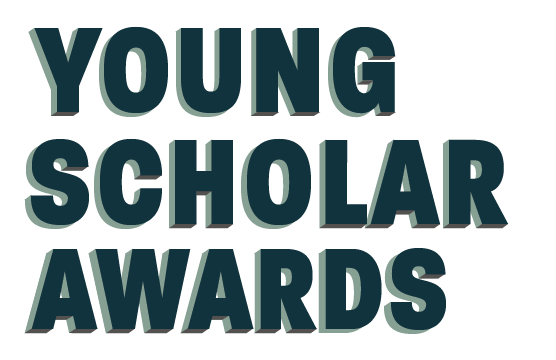 ISPU’s annual Young Scholar Awards for Outstanding Research on American Muslims is back for a second year! Sponsored by the Institute for Social Policy and Understanding, the Young Scholar Awards recognizes emerging leaders whose research focuses on American Muslims. At ISPU, we believe research that enables American Muslims to develop their communities and research that ensures a pluralistic and equitable America are essential. Fortunately, there are young scholars currently pursuing groundbreaking work in these fields. Not only are these scholars vital to America’s future, but they also deserve to be recognized for their contributions. Have conducted research on American Muslims in one of four main focus areas: family and wellness, community capacity building, American Muslim contributions, or American pluralism. Are currently pursuing a master’s or doctoral degree, or has graduated with a master’s or doctoral degree in May 2017 or after. Consideration will be given to exceptional upper-level undergraduate students. Must be the lead researcher on the submitted work. Work submitted demonstrates (1) rigorous methodology and sound analysis, (2) relevance to current challenges, (3) that it is filling a gap or meeting a need, and (4) that it is making measurable impact. Applicants may only submit one application. The first-place winner will receive a $1,500 prize and an expenses-paid trip to Michigan to collect their award at ISPU’s annual banquet in November 2019. The second- and third-place winners will receive $1,000 and $500 prizes, respectively. The deadline for applications is February 28, 2019. Applicants should complete this form, which also contains instructions for submission. Incomplete applications will not be reviewed for consideration. For more information about the Young Scholar Awards, contact us at youngscholaraward@ispu.org. The first-place winner will receive a $1,500 prize and an expenses-paid trip to Michigan to collect their award at ISPU’s annual banquet in September. The second- and third-place winners will receive $1,000 and $500 prizes, respectively. The deadline for applications is Friday, July 13, 2018. Applicants should complete this form, which also contains instructions for submission. Incomplete applications will not be reviewed for consideration. What did Marwa do? 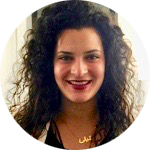 Marwa’s research explores how parents communicate with their children, answer difficult questions, and share their past experiences with complex and often painful topics. In this study, Marwa and two other mothers recorded notes of moments in which they communicated with their children about negative social phenomena over the course of 12 weeks. They also conducted and transcribed interviews with their spouses and children. Throughout their research, the three discussed their data in-person in an effort to refine their focus and better identify the most prominent patterns. What did Marwa’s research discover? 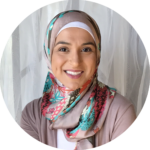 Marwa’s research showed that there are many ways for parents to communicate with their children about their gender, racial, and religious identities and to encourage them to challenge sexism, racism, and Islamophobia. Rather than focus on just one type of communication, Marwa hoped the personal experiences highlighted in the study show that when it comes to family communication, one size does not necessarily fit all. Why does it matter? For many parents, explaining sexism, racism, and Islamophobia to their children is a challenge. There is a need, especially among Muslim parents, to better understand how to communicate with their children in the face of such negative social phenomena. 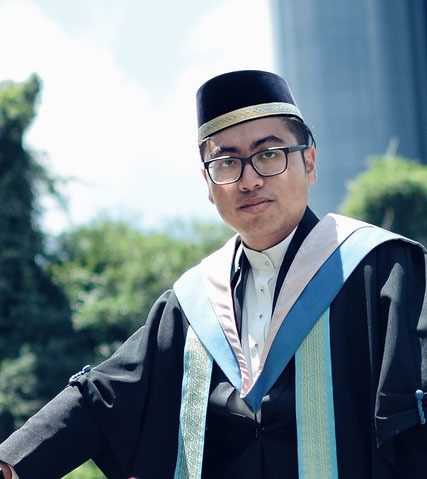 Communication scholarship has given much focus to representation of Muslims in the media but little scholarship on the personal experiences of Muslims. Marwa’s research aims to fill this gap. Marwa has thus shared this work with university audiences, government officials, in radio and television interviews, and at numerous faith centers. What did Laila do? Laila’s study examined how religiosity and immigrant generation-level are related to American Muslim assimilation and alienation using the nationally representative 2011 Pew Muslim American Survey. What did Laila’s research discover? ‘Very Religious’ American Muslims have both the highest levels of assimilation and alienation. Those Muslims born outside the U.S. who immigrated before the age of 18 have the highest assimilation levels, while native-born American Muslims have the highest alienation levels. Why does it matter? The American media often depicts Muslim and American identities as incompatible; yet, few studies analyze how American Muslims view their own social integration. Assimilation literature primarily focuses on Hispanic immigration. As an ethnically diverse religious population, the American Muslim experience is missing from this literature. What’s more, immigration research and policy has been a hotly debated subject, and the American Muslim experience, especially with increases in Syrian refugee migration, further complicates this issue. Laila hopes this work will fill this gap in our understanding of integration processes and will create networks for social change for American Muslims through interfaith dialogue and civic engagement. What did Youssef do? 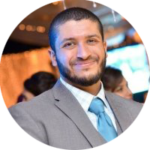 Youssef’s research explores what drives religious doubt among American Muslims. His study consists of 31 in-depth interviews with imams, university chaplains, and youth coordinators. Because this is the first study of its kind, Youssef’s objective was to provide a baseline reference point for understanding the sources of doubt in the American Muslim community. He also found that the problem of doubt in the American Muslim community is not simply of magnitude but also of frequency; interviewees reported encountering doubting people semi-regularly, on average. Why does it matter? At a time when the U.S. population as a whole is becoming less and less religious, the need for a more systematic assessment of doubt in the American Muslim community is especially urgent. As religious minorities, American Muslims find themselves in an environment that presents unique challenges to the maintenance of their faith. Youssef’s study provides an easy-to-understand framework for making sense of this complex subject. He is also currently working on a survey that would assess how much his findings coincide with the reality at the broader community level. Additionally, a number of youth groups, mosques, and Muslim Student Associations have already used this work as a teaching tool.